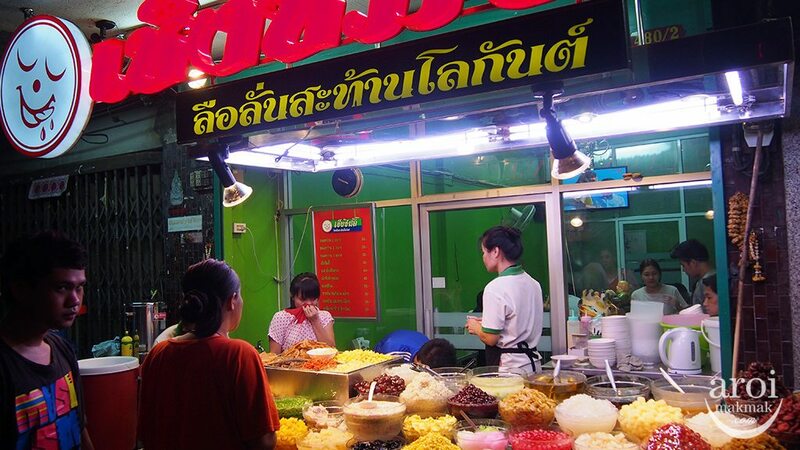 Bangkok is a shopping haven for girls but a food haven for everybody! Thai food is just Aroi Mak Mak (Very Very Delicious) and you have to try as many different types of food as possible during your trip to Bangkok or Thailand. 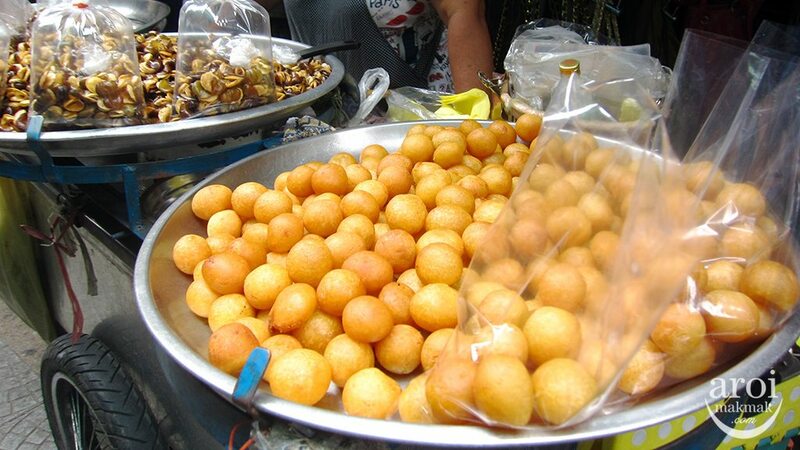 First timers to Bangkok will probably not know what are the Must Eat food in Bangkok. I understand that it’s very challenging to try everything while on a short 3D2N trip. 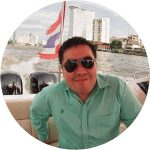 I know that most of you do not have much time to travel to different parts of Bangkok and so I took into consideration that it should be accessible and near the city. So, if the food is out from the city, it will not be in this list. I have tried my very best to be very stringent in my selection. 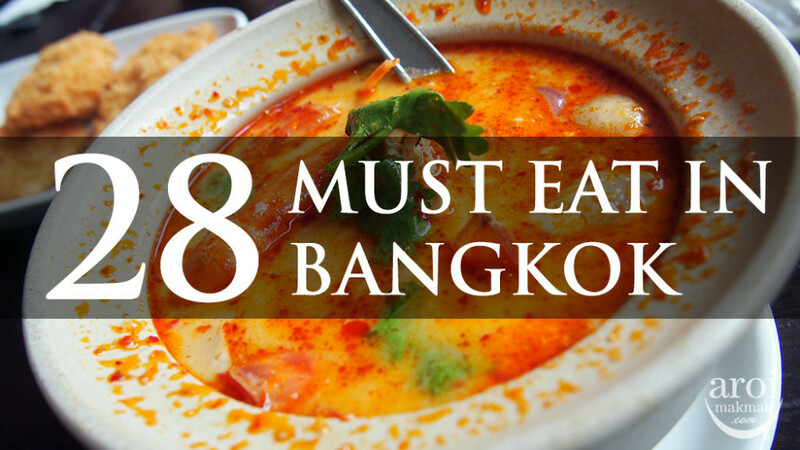 Here, I present to you the 28 MUST EAT in Bangkok!!! Some of them already have a full post on them written so you can click on the link to read more about it. One thing to note is that street food carts might not have permanent locations and hence you got to walk around the market to find them. Also, the streets in Bangkok are closed on Mondays for cleaning so if you want do shopping on the streets, avoid Mondays. 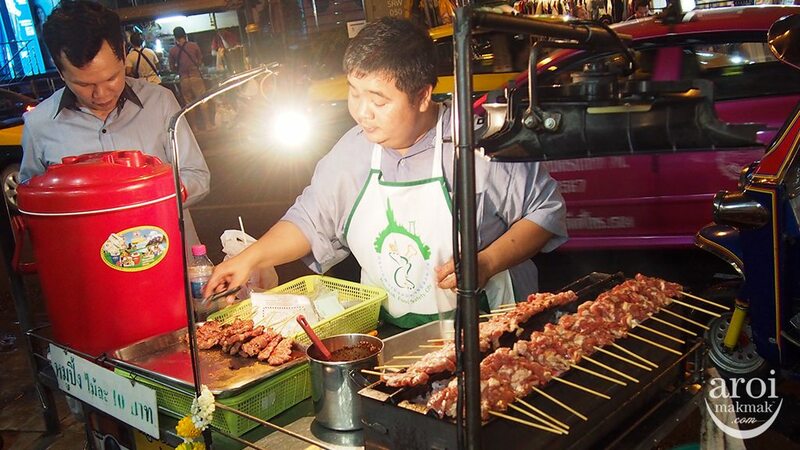 The more popular street food places are Pratunam, outside Central World, Siam Square and Silom. This Thai Fried Chicken is out of the world. It’s even better and more addictive than the ones you get in fast food restaurants! The secret is in the marinade and batter and one will definitely not be enough. 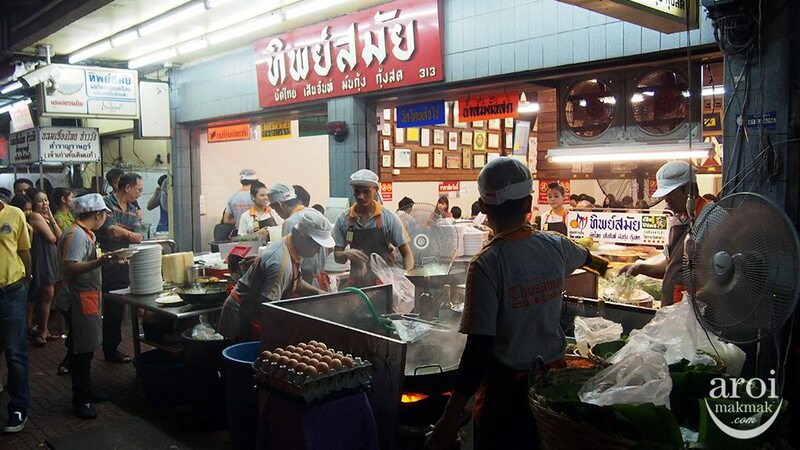 Where > Street Food places such as Pratunam, outside Central World, Silom. I believe the secret as to why so many Thai dishes or street food taste so great is because they use the amber and heat from charcoal to cook the food. The end product of this Moo Ping is a sweet, succulent and tender piece of meat on a stick. This particular stall, Moo Ping Hea Owen is recommended by many locals but you can still find good ones around even in Pratunam Market. Where > Silom Soi Convent, Central Embassy or other Street Food places. It is lightly crisp on the outside and airily soft on the inside. Has the description enticed you yet? It’s so delicious that you can’t stop at just one ball. Till date, I have not found one in Singapore which matches it. The only place to get it is in Bangkok. A snack which is more healthy as it’s not fried. 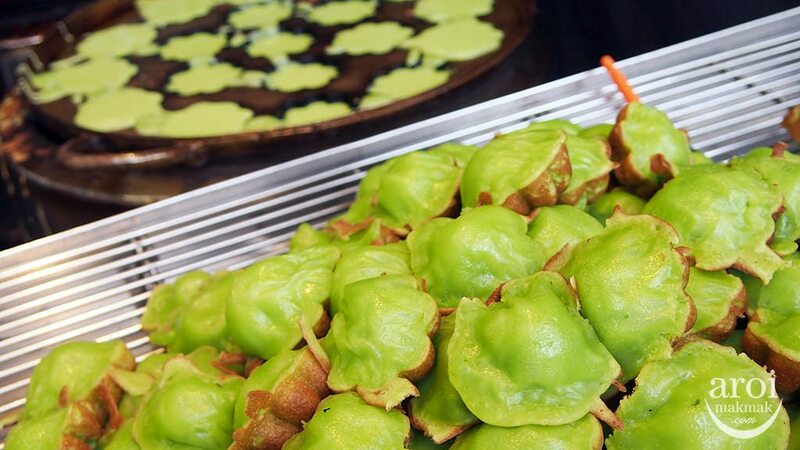 This pandan kueh is warm, soft and chewy with a sponge-like pillow texture. You must eat this immediately after purchasing to understand how yummy it is. A thin and crispy snack, it is just nice if you want something light without having to make yourself full! There are variations to this crispy pancake as they come in sweet or savoury fillings/toppings such as shredded coconut, chopped scallions or fried eggs / egg yolks. Where > MBK Level 4, Talad Rot Fai Srinakarin, Asiatique. This is a hidden shop in Chatuchak Weekend Market. It is the best honey roasted pork chop I have ever eaten. 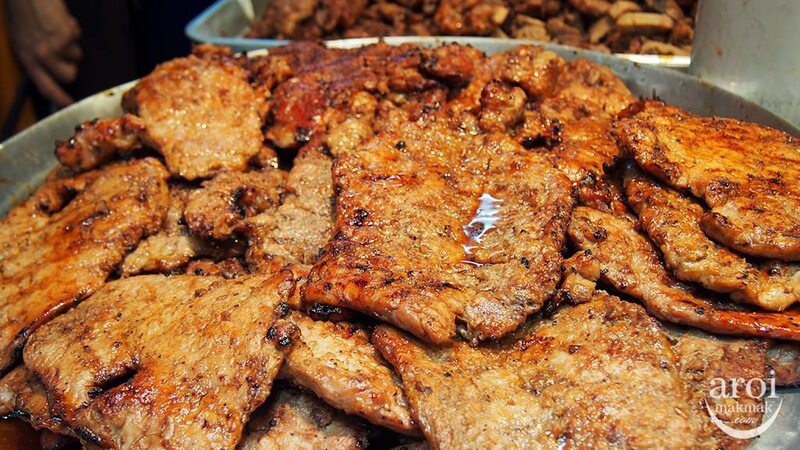 All the flavours are retained in the meat, making it sweet, soft and tender. You can even order a bun to go with it. I can’t believe that having been to Chatuchak for about 20 years already, I only discovered this recently after my fans’ recommendation. Where > Moo Yang Nam Peung, Chatuchak Weekend Market, Area 22, Soi 4. This will definitely look familiar to Singaporeans. 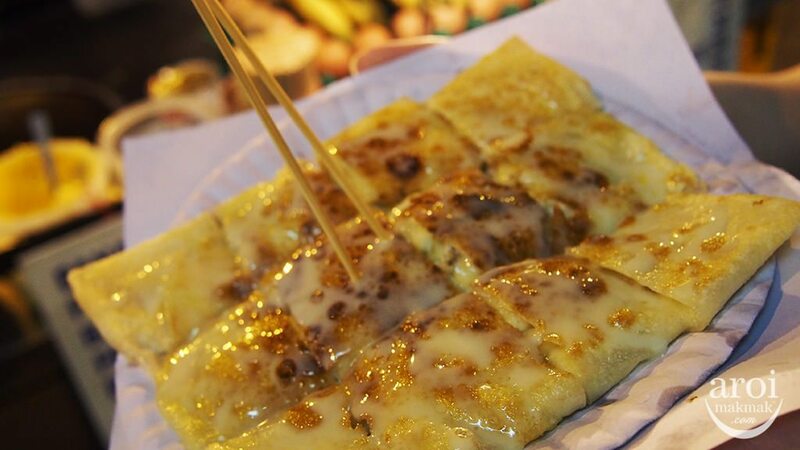 Thais love their food sweet and hence, their Banana Prata is topped with condensed milk. If you don’t like condensed milk, they also have options such as honey, nutella, chocolate, coconut, sugar and much more. If you want to add an egg to it, it is no issue as well. Do look out for the menu at the food cart and order something to your preference. The final product presented will be really appealing. Light, crispy and delicious. 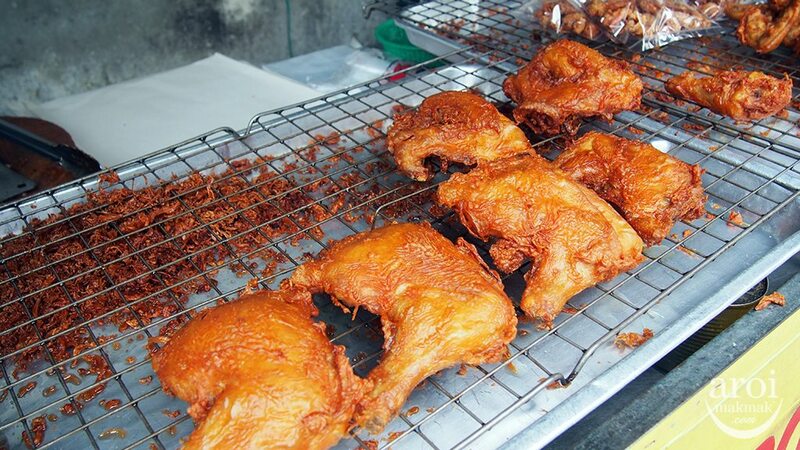 Where > Street Food places, Pratunam, Khao San, Silom. Crispy, soft, hot and cold crepes, with a variety of toppings. Singaporeans love it because it’s so much cheaper in Bangkok and the portion is big. 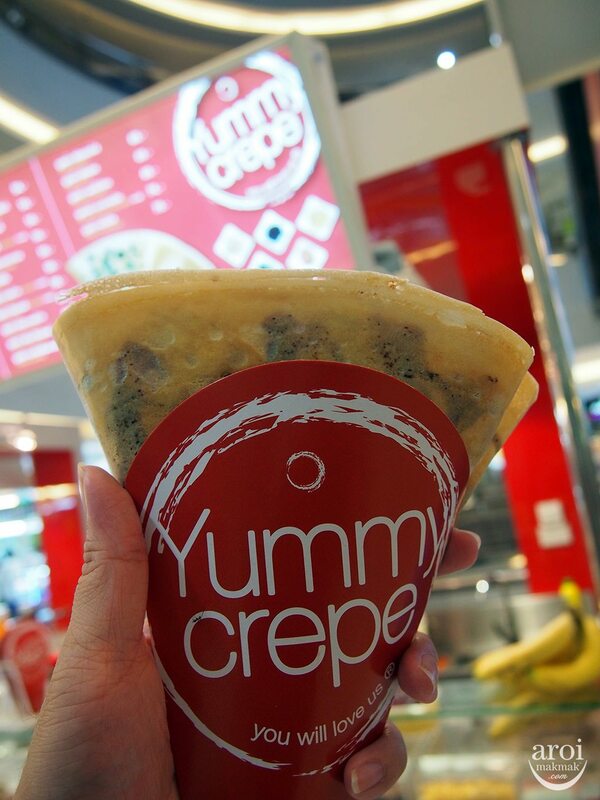 You can get this easily in Pratunam Market but the one I recommend is “Yummy Crepe” as to me, the packaging makes it more convenient to eat and it won’t leave a mess! Where > Palladium World Shopping G Floor (Pratunam), The One Park next to Central Ladprao, Asiatique The Riverfront or other brand of crepes at Pratunam Market and Platinum Fashion Mall. 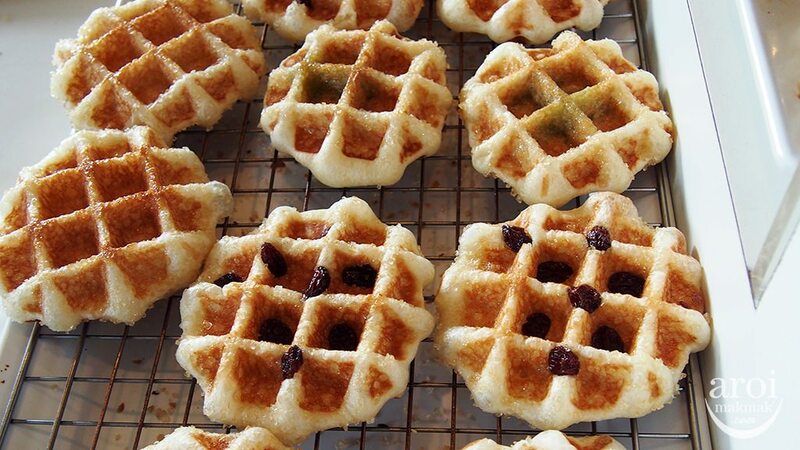 Whenever I pass by BTS stations, I will be attracted to these waffles. They are small and hence easy to eat. It is crunchy on the outside and soft on the inside. You can choose fillings such as chocolate, cream or maple. It’s so simple yet so delicious. The aroma will attract you to buy it. Where > The Waffle located at various BTS Stations and basement of Platinum Fashion Mall. 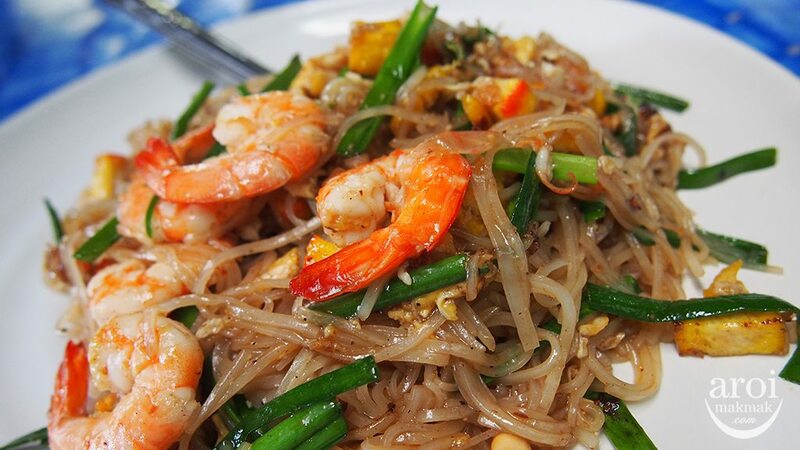 Some of the popular mains in Thailand include Pad Thai, Boat Noodles and Wanton Noodles, just to name a few. For this section, the focus will be on the food and followed by the recommended place for this particular food. Pad Thai is like the national noodle of Thailand because the most popular noodle dish from any Thai restaurant would be Pad Thai. It is a street food dish made from stir-fried rice noodles with egg, beansprouts, peanuts, shallots, tofu, prawns and tamarind juice/sauce. Sweet, Spicy, Tangy and extremely delicious. I will recommend you 2 places for Pad Thai. Located in a 100 year old Thai house, this would be easily missed if not for my recommendation. They have no signboard, the shop looks extremely simple with no frills, no photos of famous artistes or newspaper cuttings. But they serve extremely delicious Pad Thai. It’s not exactly easy finding this place but after reading my full post on this place, you should have no problem. There is a directional video as well. Where > Silom, Sala Daeng Soi 2, behind Silom Complex. Opens Mon to Fri: 9:30am to 2:00pm. Thip Samai is touted as the Best Pad Thai in Bangkok by locals and foreigners, having come a long way since its opening in 1966. It is now like a factory restaurant. 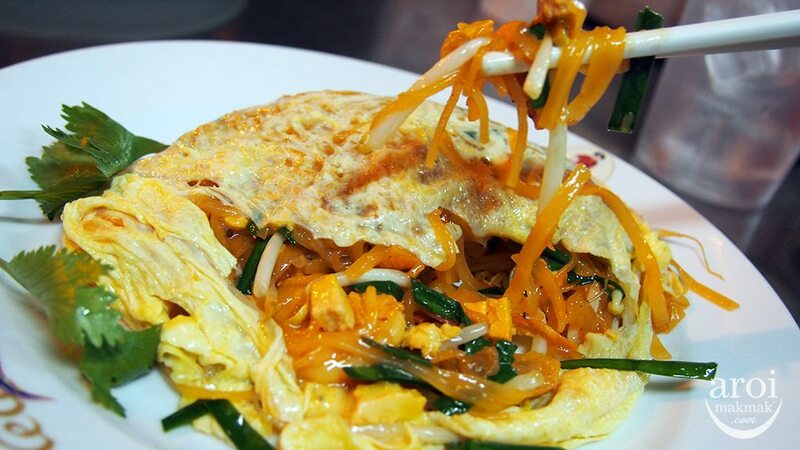 There are many variations of Pad Thai here and the most popular is “The Superb Pad Thai” with prawns wrapped in omelette. It is not easy to come to this place but be sure to tell “Pratu Phi Pad Thai” to the taxi driver. Be warned, Thip Samai was indeed my favourite place for Pad Thai last time but after several visits recently, I found that their standard varies at times. But don’t leave without trying their Orange Juice with chunks of pulp. Shiokness. Where > Forget about the address, just tell the driver “Pratu Phi Pad Thai“. Opens Daily, 5:30pm – 1:30am. 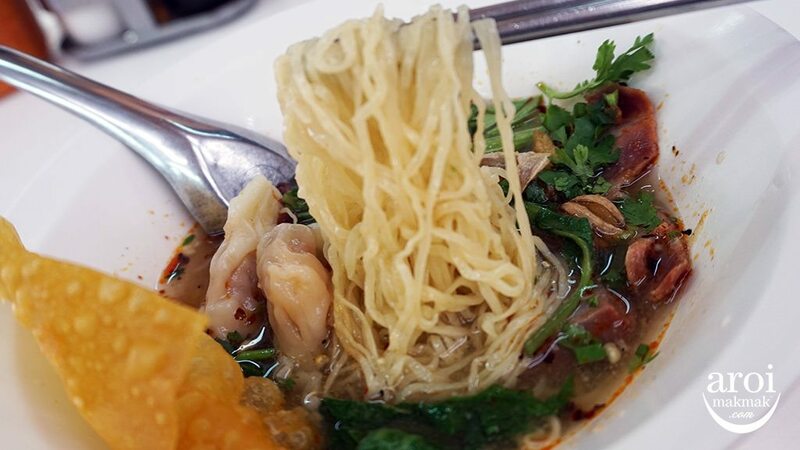 Tom Yum Goong is the national soup of Thailand and mixing it together with the popular Thai Rice Noodles, it becomes a double-hit combo. You can probably find this in many restaurants but the best is at Pee’Aor. Why? 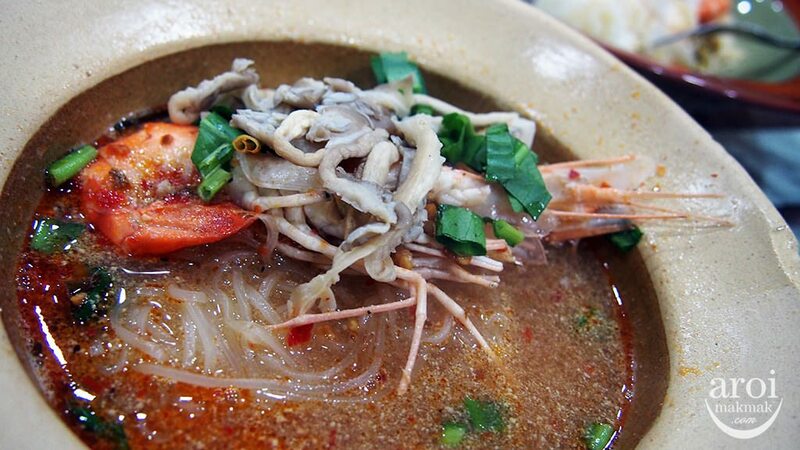 The Tom Yum is authentic, rich and creamy at the right level. Prawns used here are huge fresh prawns that is of quality. Where > Pee’Aor, 68/51 Soi Phetchaburi 5, Between Soi 5 – 7, Phaya Thai, Ratchathewi. Opens Daily, 10am to 10pm, but I recommend you to call them before going down. 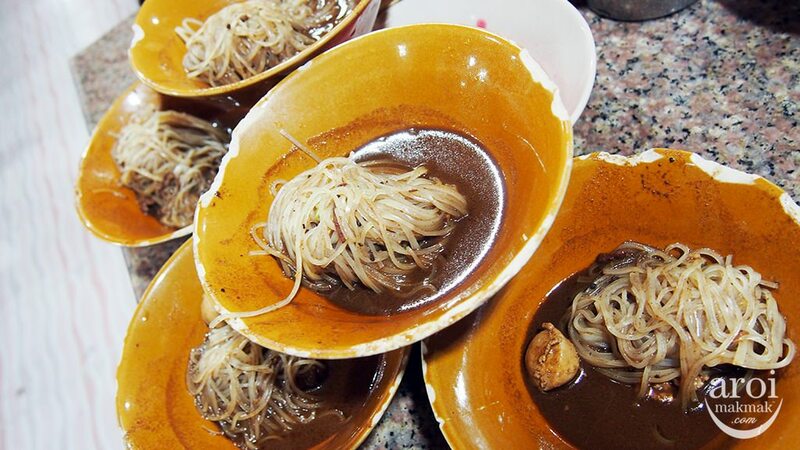 Where can you get traditional Thai Noodles, formerly sold on boats, at just 10 baht (S$0.40) per bowl? I guarantee you won’t stop at just one bowl as the portion is indeed small. You will see bowls stacked on every table. Come and experience for yourself! The place to get Boat Noodles is at Victory Monument. Which exact outlet? More information in the full post of Boat Noodles! Probably the easiest way to ask for directions is to show this picture to the locals. Where > Sutyot Kuetiau Lua Payak, Victory Monument. Opens Daily, 11am to 9pm. 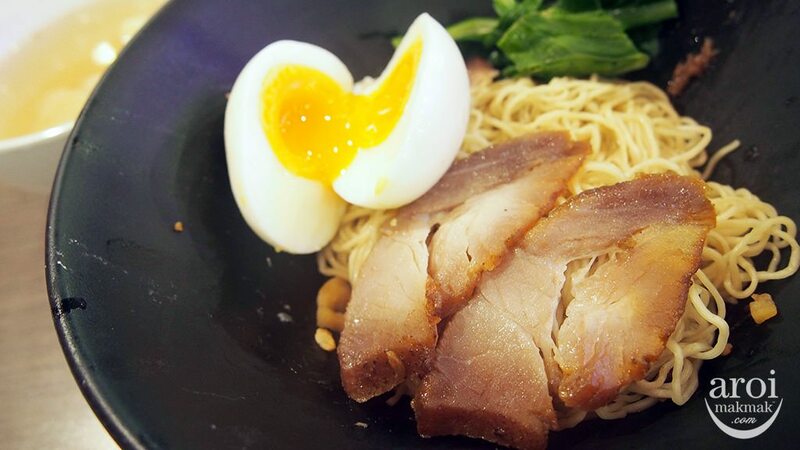 You can get Duck Rice / Noodles easily in Bangkok. 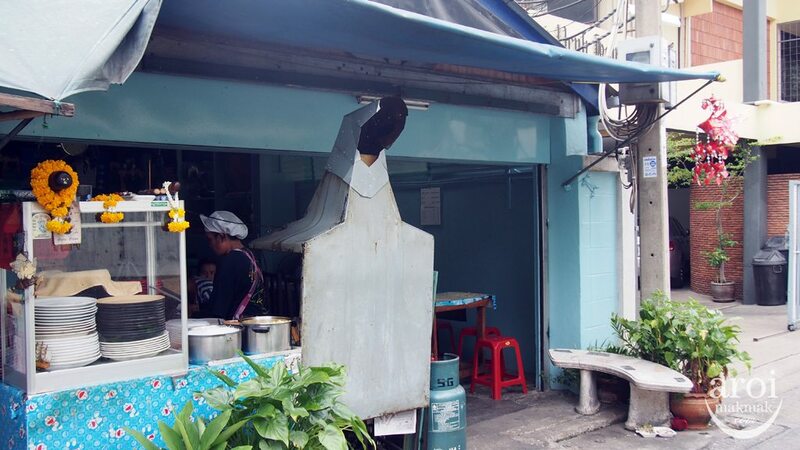 But this one at Prachak Pet Yang , established since 1909 , has incredible roasted duck. 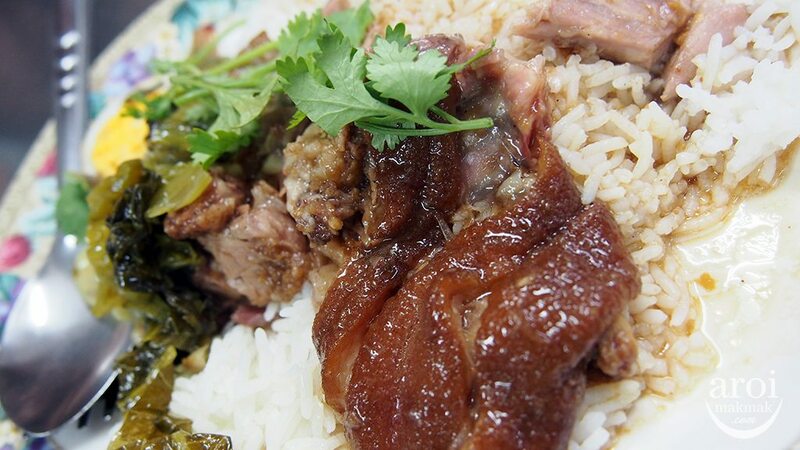 This is also the place where I had the best Roasted Duck and Char Siew (Pork) Rice in my entire life! 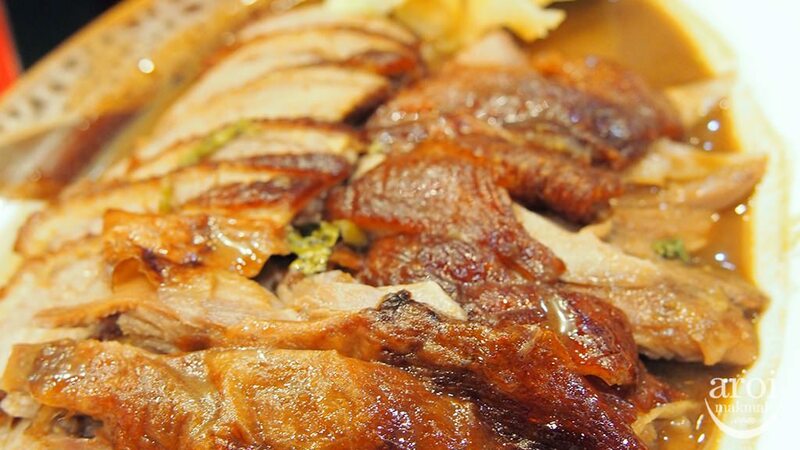 The duck and pork are marinated and roasted to perfection with every piece of meat so soft and tender. The special sauce that goes along with it just makes everything heavenly. It is a sweet and savoury mix of sauces with certain herbs and spices. Absolutely delicious. Where > Prachak Pet Yang, 1415 Thanon Charoen Krung, Silom. Opens Daily, 8am to 8pm. I guess this needs no further introduction since it’s now extremely popular and almost every other blogger is blogging about this place. 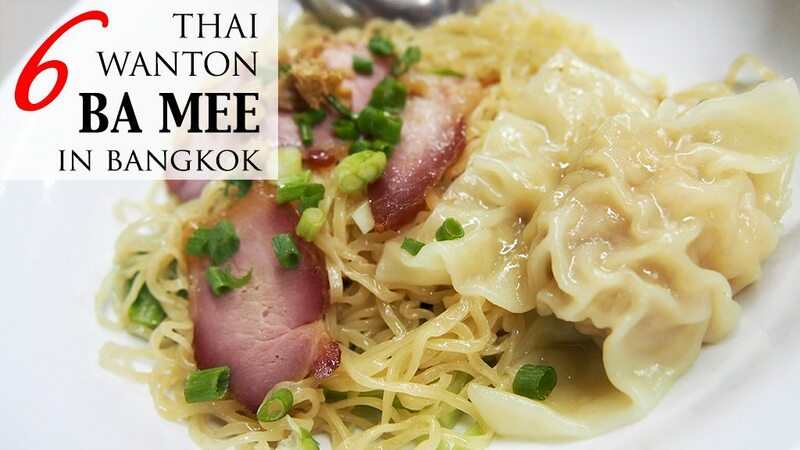 Yes, the one at Pratunam, famous for Braised Pork Trotters Rice and Wanton Noodles. 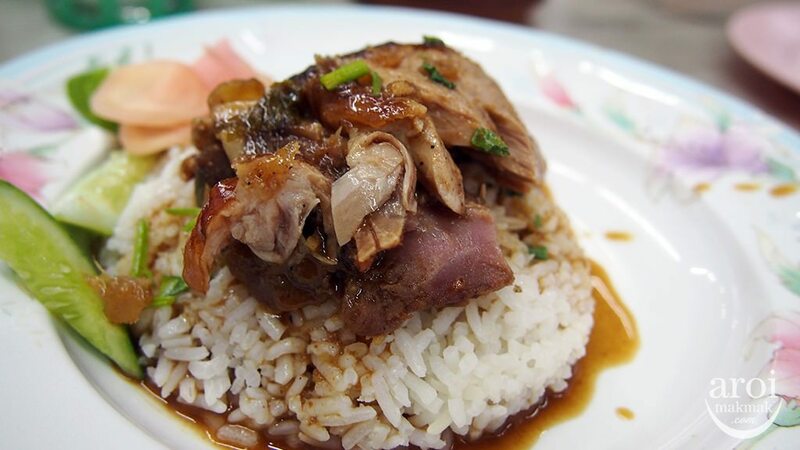 I like the braised pork rice as its tender and soft pork boiled in braised sauce makes this dish so delicious. On the other hand, having been here since 15 years ago, the standard has definitely dropped and the portion is getting ridiculously small. 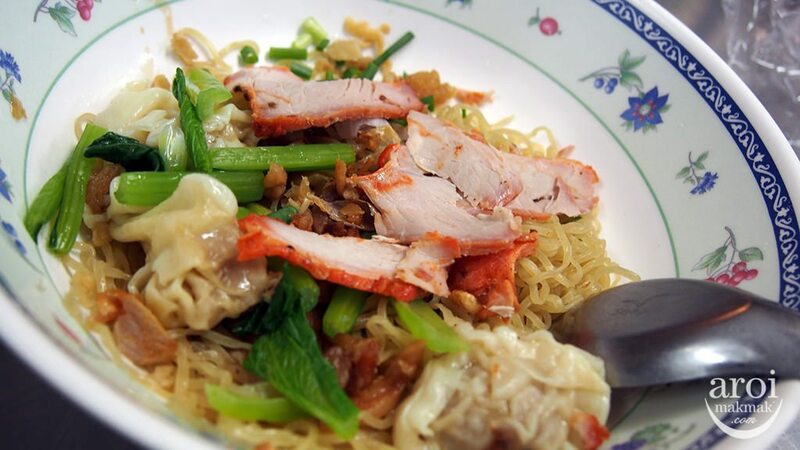 Perhaps, my next favourite Wanton Noodle will be at Sukhumvit Soi 38 or till I find a better one. 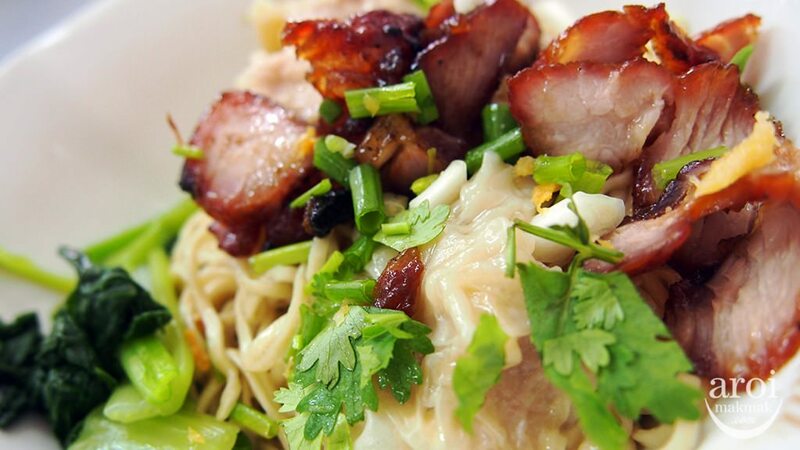 Where > SabX2 Wanton Noodles, 4/32-33 Soi Petchburi 19, Pratunam. Opens Daily 9:30am – 5:30pm. Can’t wait to fly off to Bangkok already? 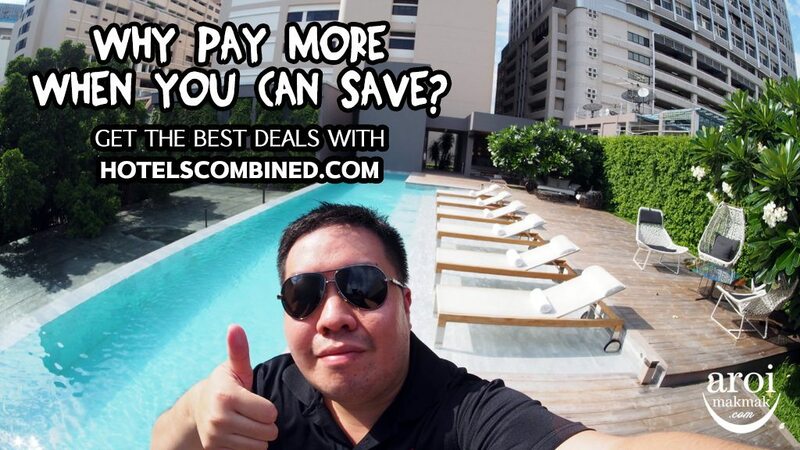 Get the best hotel rates with HotelsCombined.com. Prices are compared against the travel portals and you can see which one offers the cheapest rate at a glance. 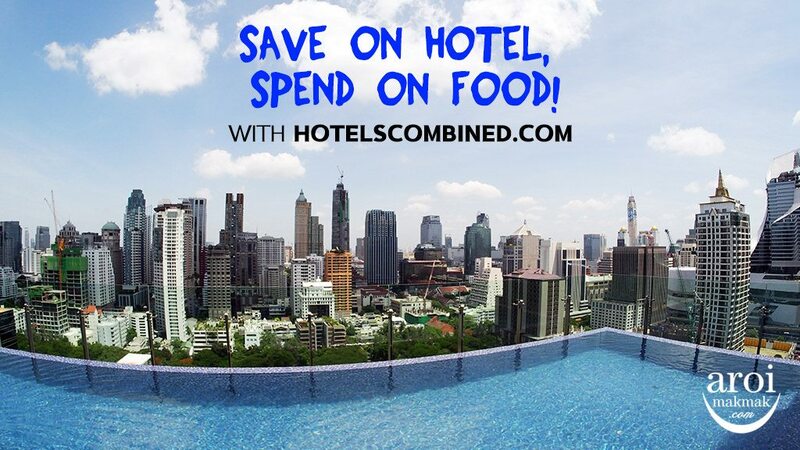 This way, you can Save on Hotel and Spend on Food! Awesome right? Check out the best deals of your favourite hotels here! These are some of the popular restaurants with good food that you should go and try! MK Restaurants are famous for their suki (steamboat). Ingredients wise, there is nothing to shout about but what makes it delicious is its chilli sauce provided. Dipping your cooked food into the sauce will make it more delicious. Of course, for those who are looking for something healthy, steamboat works well. But don’t leave MK without trying their Roasted Duck. My friend who does not eat duck was immediately converted after trying MK Roasted Duck. Where > Major shopping centres such as Central World, Siam Paragon, Siam Square, Union Mall, etc. Opens Daily, 10am to 10pm. Another restaurant which perhaps needs no introduction as well. As the name suggests, they are famous for their Som Tum which is Papaya Salad. They have different varieties of Som Tum to suit you. 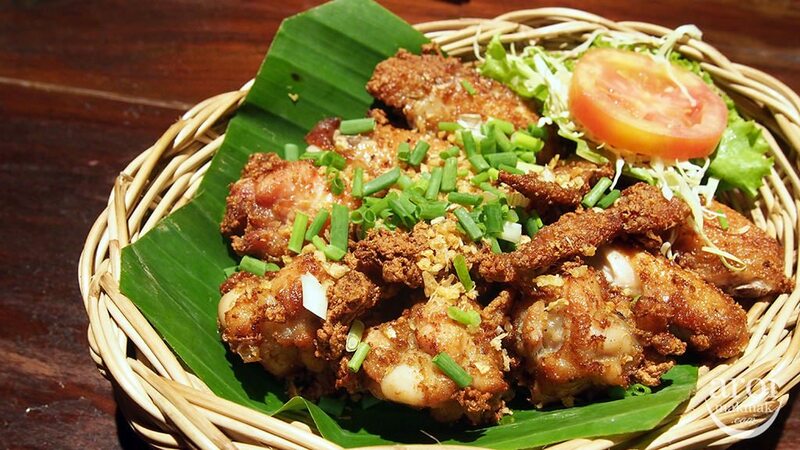 They also serve other favourites such as their Chicken Wings which you definitely have to try! Where > Som Tum Nua – Siam Square Soi 5 or Siam Centre Level 3. Opens Daily 11am to 9:30pm. This is the place to go if you want cheap and good seafood. Seafood here is really cheap and the food is delicious. However, it may not be the most comfortable place for you to dine. There is outdoor dining by the roadside which has the most seats. The indoor dining is usually packed and it is extremely squeezy inside. If you don’t mind all the above mentioned, then I can safely say you will like this place. If you want something more comfortable, perhaps go to Nam Sing which is just next door. 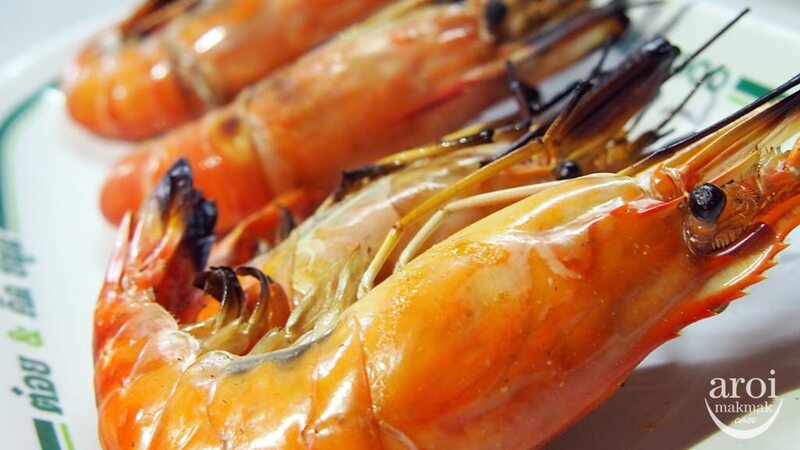 Don’t leave this place without trying the Grilled Tiger Prawns, Tom Yum Goong, Omelette, Steamed Fish and Fried Prawn Cakes. You can recognise the staff from this shop by looking out for their green shirts! Where > T&K Seafood, 49-51 Soi Phading Dao, Yaowarat Road. Opens Daily, 4:30pm to 2am. 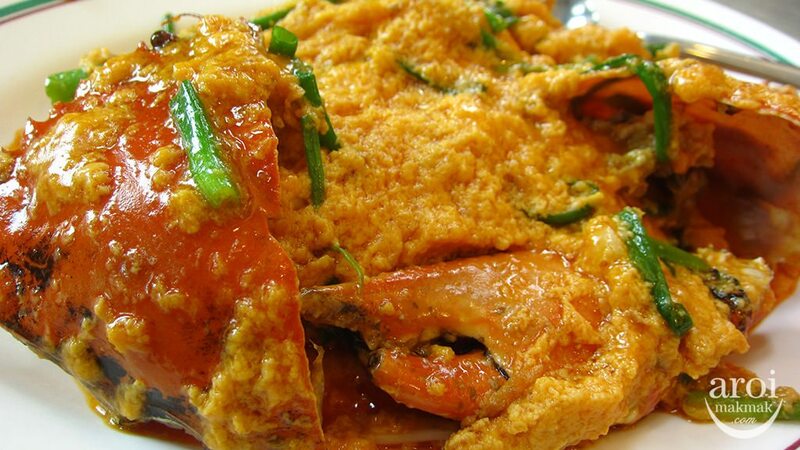 Singapore is famous for its Chilli Crab. In Thailand, they are famous for their Curry Crab. The well known establishment for this dish is Somboon Seafood. For those who don’t want to dirty their hands, you can order crab meat in their curry sauce. The curry sauce goes extremely well with rice and almost every table licked their plates clean of the curry sauce. The seafood here is also of high quality and so if you are looking for somewhere comfortable, you can also consider Somboon Seafood. If you are intending to take a taxi to Somboon Seafood, beware of the scam where they will tell you it is closed and bring you to Somboondee Seafood. I have explained about it in my full post. Click on the title to read it. Where > Somboon Seafood – Soi Chula 8, Surawong, Ratchada, UdomSuk, Sam Yan. This is perhaps the favourite section for most youngsters. It is about everything sweet. Here you go! After You is famous for its Thick Toast and the bestseller is Shibuya Honey Toast. When I took my first bite, I felt as if I was eating something from heaven! It was that delicious. It has a crispy exterior but the secret is inside. The fluffy and soft centre absorbs the melted butter which is evenly spread, making it soft as a pillow. It is served with Vanilla Ice Cream and whipped cream. And if you take sweet stuff, don’t forget to drizzle the maple syrup. 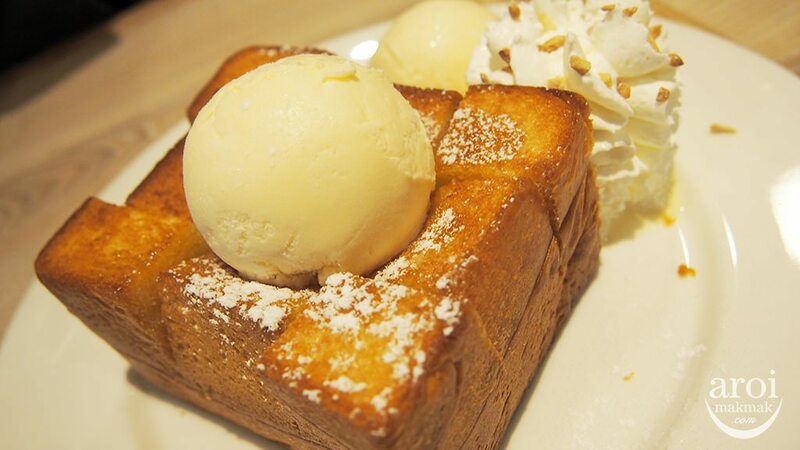 The warm butter bread + cold ice cream + soft whipped cream + sweet maple syrup will explode in your mouth. 1 word – WOW! Where > After You – Thonglor Soi 13 J Avenue, Silom Complex, Siam Paragon, Central World, Central Plaza Ladprao. I have tried several Coconut Ice Creams in Bangkok along the streets and I can safely say that the best and most affordable Coconut Ice Cream in Bangkok is at Chatuchak (Jatuchak / JJ) Weekend Market! Trust me, you really need this to cool down after a few hours at the market. It is also something which you will never regret buying, unless you don’t take coconut. There are several stalls selling Coconut Ice Cream but the one I’m recommending is served in a coconut husk. You should be able to spot this store easily as it is always crowded. 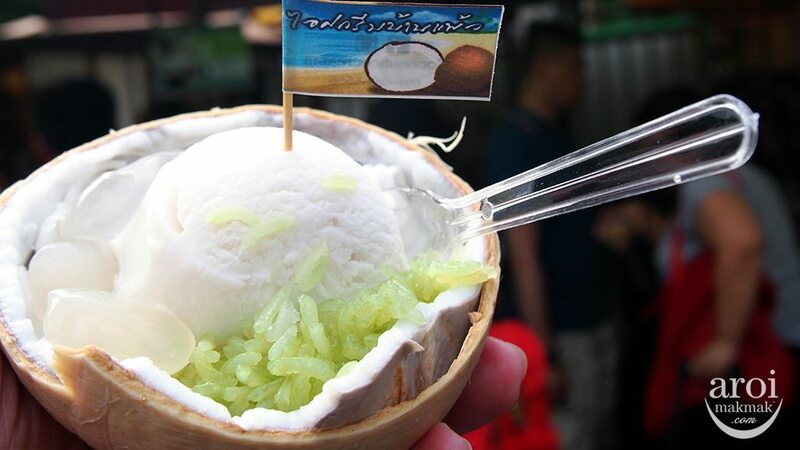 For 35 baht, you will get refreshing, rich and soft coconut ice cream, slices of coconut flesh, 2 toppings of your choice and a complimentary cup of fresh coconut juice, a much needed thirst quencher when shopping under the intense heat. Where > Chatuchak Weekend Market , entrance of Section 2, near Kamphaeng Phet MRT station. Where> 5 Must Try Mango Sticky Rice in Bangkok. 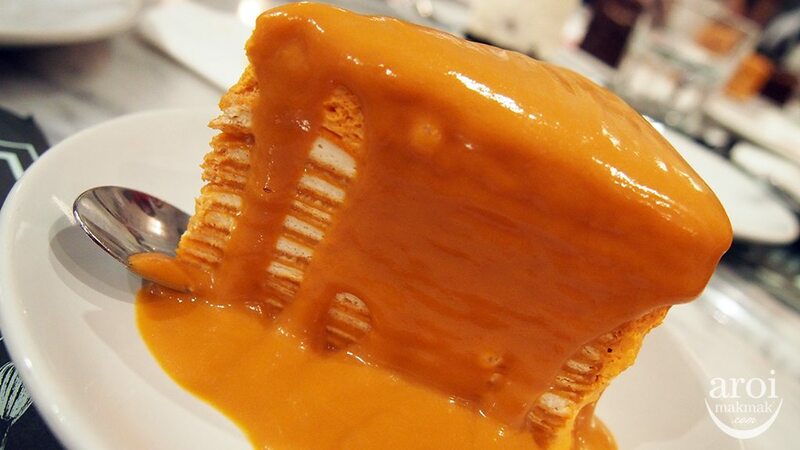 If you love Thai Tea, then you won’t want to miss out Thai Tea Crepe Cake from Audrey Café and Bistro. At Audrey, you dine in style as it is a stylish place with great ambiance and good food. The owner of the cafe was inspired by the grace and elegance of Audrey Hepburn. The overall setting of the place is French-inspired too and it makes this place bright and luxurious. The cake is so soft and together with the sweetness and flavour of Thai Tea, it makes everything so smooth. They also have other popular cakes and mains too. Another must try here is the Tom Yum Goong Baby Crusty Pizza. It’s a thin crust but packed with so much flavour inside. Where > Audrey and Petite Audrey. Opens Daily 11am to 10pm. I like the Thai Desserts in Bangkok because you can practically choose what you want in your bowl. They don’t have pre-selected ingredients like Ice Kachang or Chendol. Ingredients are laid out before you, you select what you want to eat. Feel free to mix and match! 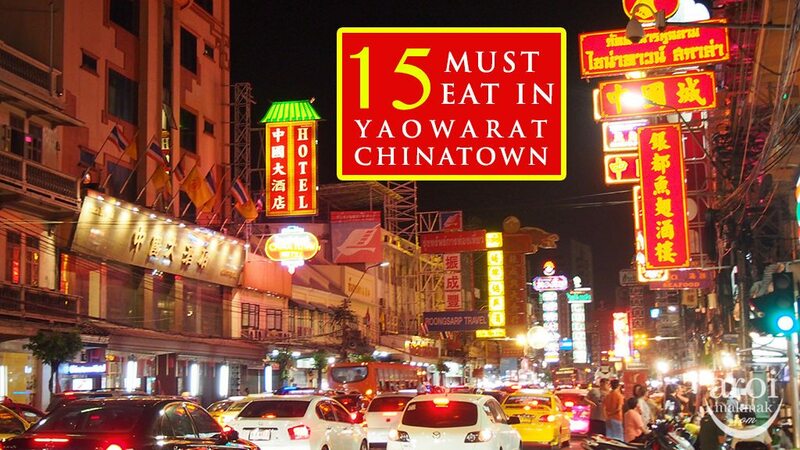 Where > Sukhumvit Soi 38, Rama 4 Road, Yaowarat Chinatown. Thai Milk Tea (Cha Yen) is the national drink of Thailand, so if you have not drunk it, you can’t leave the country! Thai Milk Tea if done correctly should be sweet, milky and silky with a mixture of both tea and milk flavours. 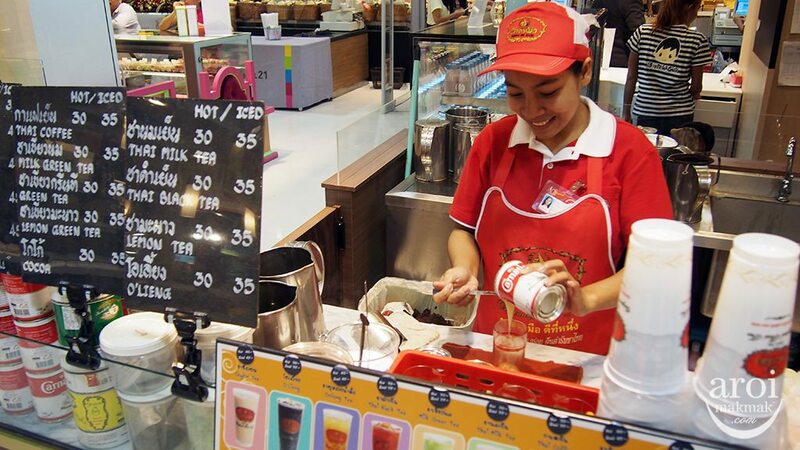 In Bangkok, chances are even the road side carts make good Milk Tea. But if you want the original, look for Number One Brand. Thailand besides being known as “Land of Smiles”, is also known as the “Land of Coconuts”. 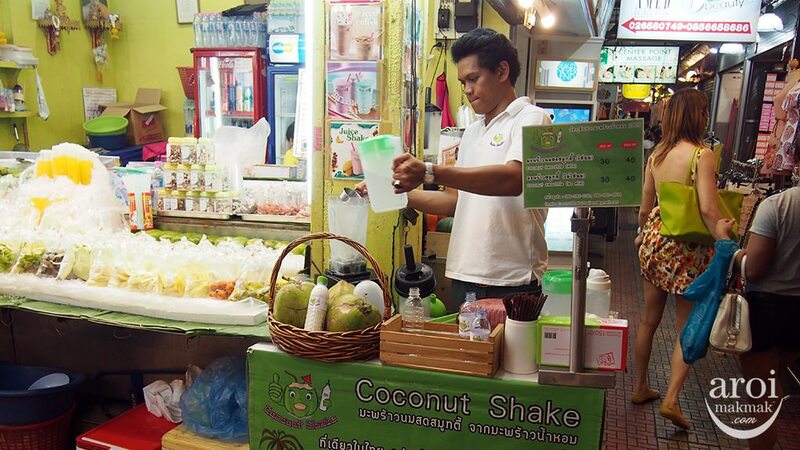 90% of Thai dishes uses coconut as one of their ingredients, so, don’t leave Thailand without drinking coconut juice. Usually, you purchase the coconut as a fruit itself and hence have to dig the pulp out if you intend to eat. It’s not exactly convenient if your hand is busy with other stuff such as shopping bags. And so what I’m going to introduce to you will solve your problem as the goodness of the coconut is contained conveniently in a bottle. After ordering, the juice, pulp and ice goes into the blender and is then poured into a bottle with the cap being punctured to have the straw inserted. And there you have your coconut shake, which you can enjoy with convenience. Where > Siam Square Soi 3, just outside the side entrance of Digital Gateway. Opens Daily, 1pm to 8pm. At Mont, they are famous for their toast and milk. Thais are known for making simple food staples like bread into delicacies, using the simplest ingredients. 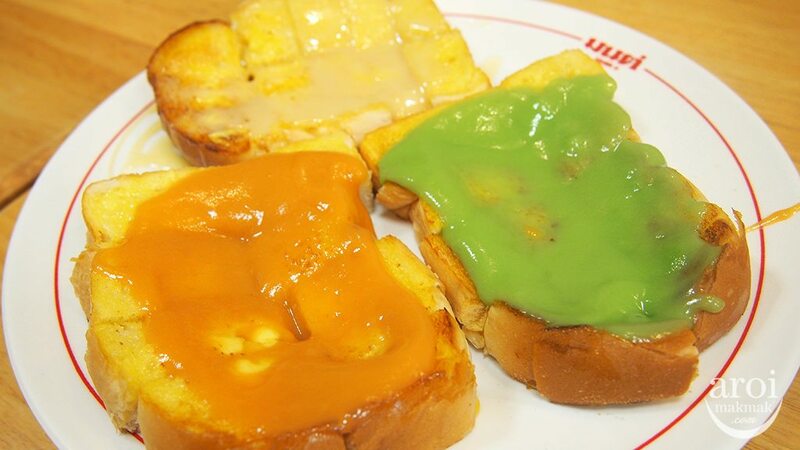 Their best selling toast flavour is Original Coconut Custard and Condensed Milk. In fact, the coconut custard is similar to “Kaya”, just that it has a stronger coconut taste and is less sweet as compared to Kaya. The bread is also crispy on the outside but soft on the inside. Where > MBK Level 2. Opens Daily, 11am to 9pm. I like to call this Instant Ice Cream, because the ice cream is made freshly on the spot when you order. You can choose your ice cream flavour, toppings and syrup. It’s so delicious and you can still taste some bits of oreo and banana even after it is crushed. Initially, I thought this would taste like cheap ice cream, but I was wrong. It’s good! Where > Siam Square One, Asiatique. Opens Daily, 11am to 9pm. Singaporeans, don’t you just miss A&W? 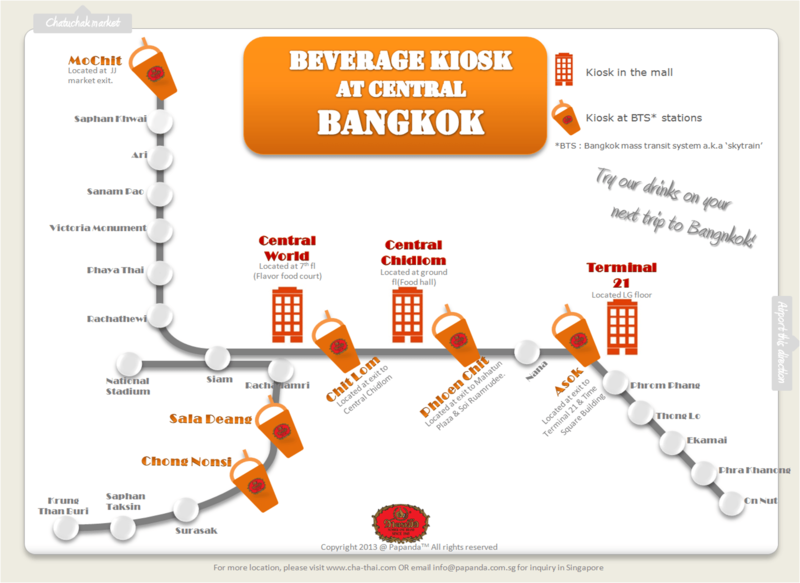 Other than Malaysia, the next nearest country that has A&W is Bangkok. This is one of the fast food restaurants that many would want to visit to bring back some good old memories when A&W was still in Singapore. What are the missed items? 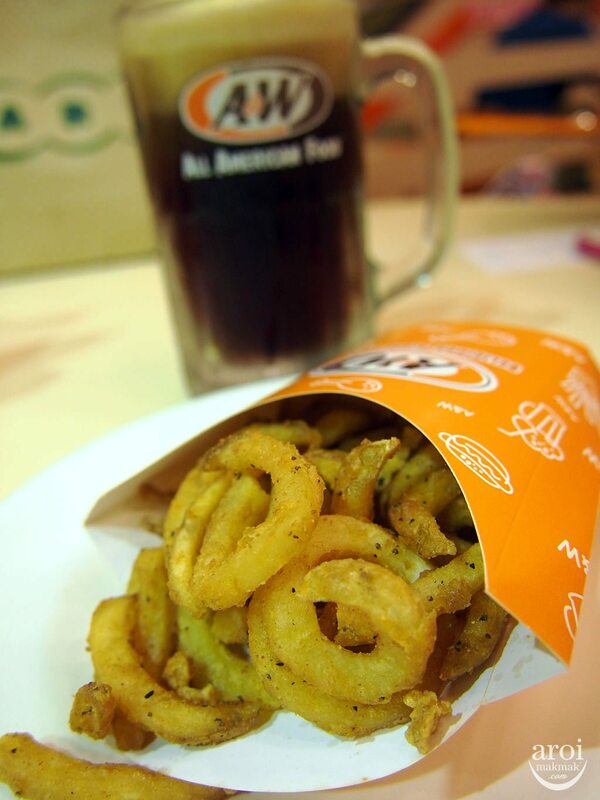 Waffles, Curly Fries, Coney Dog and definitely A&W Rootbeer! Where > Pantip Plaza, Siam Square, Union Mall. Opens Daily , 8am to 9pm. Union Mall opens only at 11am. 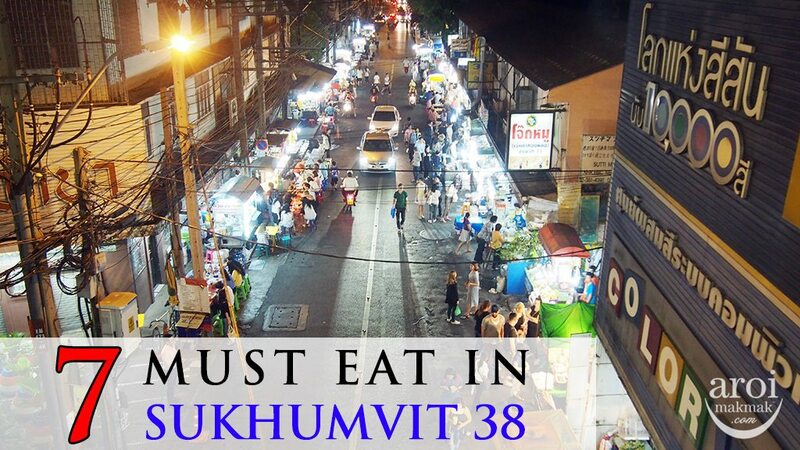 And that sums up the 28 MUST EAT in Bangkok. 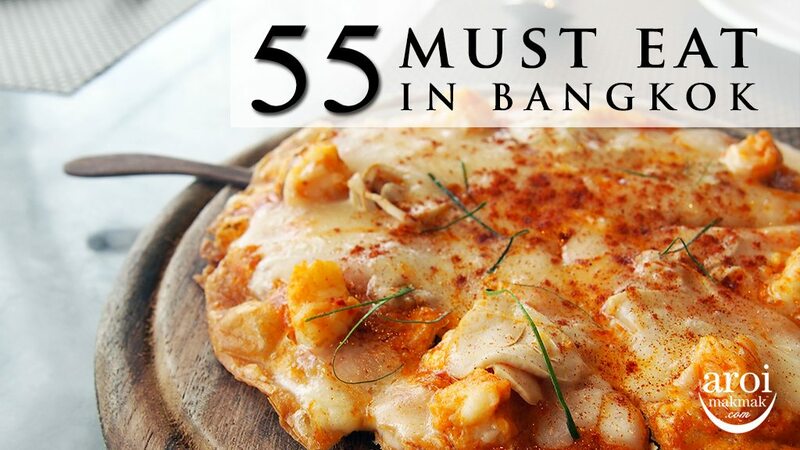 If it’s not enough, there’s a part 2 featuring “55 Must Eat in Bangkok” which is a totally different list from this. Do check it out! There is a new seafood restaurant in town. Thank you for all the good information about the place to eat . 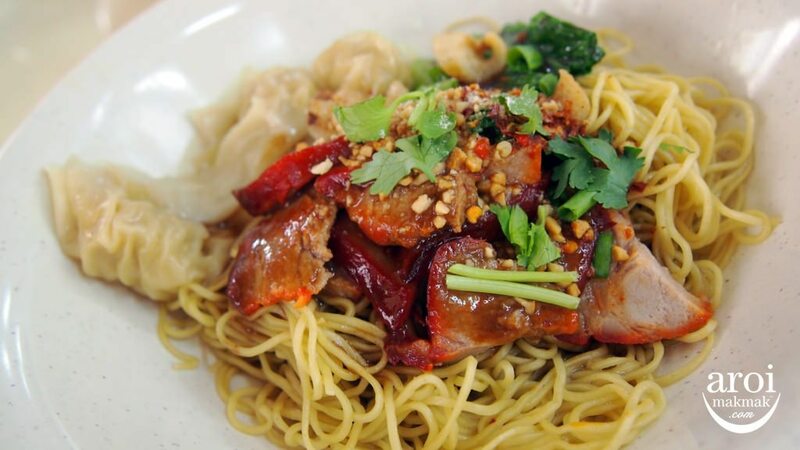 One more must eat is the Wild Spicy Noddle @Talad Rod Fai. SUPER SPICY!! Thank you for sharing. Have visited BK many time, but have not try many of the food. Feel like flying over to try the food but worry about weight gain. Thanks for sharing! Saw this at the right time as my family and I are heading to BKK next month. Unfortunately, can only try your dessert recommendations as we are muslims. Just a suggestion – great if u can recommend halal places. I only know of 1 in MBK – Yana Restaurant and they serve awesome halal Thai cuisine! Hi Yvette, yes I have tried this particular stall since 20 years ago and the standard and portion are dropping. For this stall, I prefer their pork leg rice. For wanton noodles, I usually have it elsewhere now. 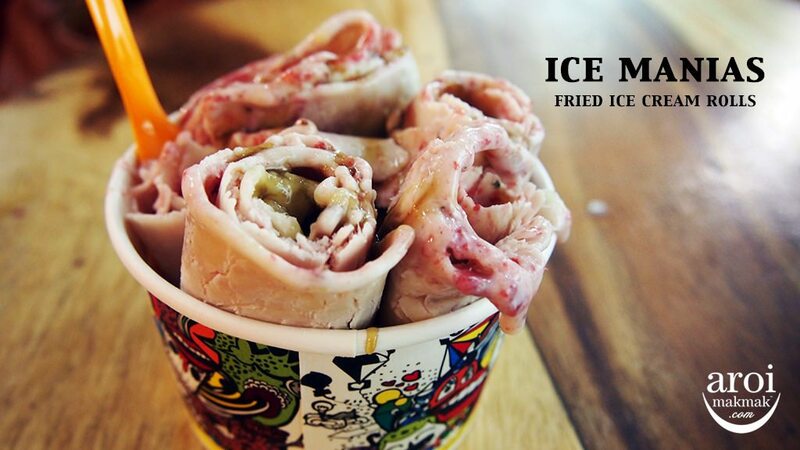 Thanks for sharing all the nice food..
Ice Manias as you stated is located at Union Mall Level 3, Asiatique. But, the address from your redirect site (http://aroimakmak.com/union-mall/) is quite far from Asiatique in Google map. May I know the exact location? Updating the Mango Tango location. They have moved to Siam Square soi 3. Spent an hour looking for it until I showed the pic from your blog to a school girl who showed us the new location. 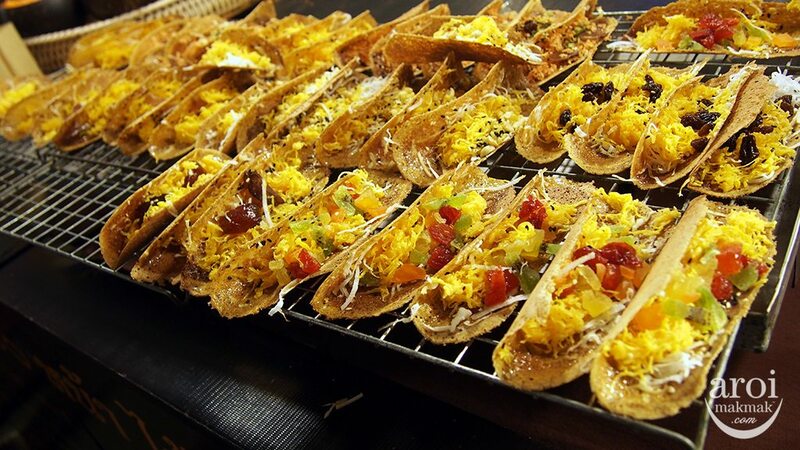 Great post about foods in Bangkok mate. Cheers. Can you recommend nice and clean massage houses that’s reasonably cheap? Will be staying at Majestic Grande Hotel near Nana BTS. Thanks! I tried before Bai Po Massage on Sukhumvit Soi 11. It is one of the better ones among those I tried. This place is good if you want foot massage or traditional thai massage. For Spa, I prefer to pay slightly more and go elsewhere. It’s really hard to determine as some ingredients they use might contain peanuts. your website are awesome. keep it up! Copyright © 2012-2017 AroiMakMak. All Rights Reserved.